TransferWise has progressively launched its “borderless” account and debit card service to 1,000 customers, following its May release. According to TransferWise, eligible users will be able to hold and convert 28 currencies at the real exchange rate with the account. Previously, it was only open for businesses and freelancers. When TransferWise announced the account last year, its reasoning was to do away with the “old-fashioned” method of money transfers; which it said comprised slow service and often contained hidden charges, amounting to billions of dollars in income for banks. The way the service works is “simple” – a user could tell an American client to pay into his/her US account. The account holder can hold money in the different currencies and switch funds between them “instantly”. TransferWise started offering a platform for people to send money internationally online in 2011 and since has grown reaching an estimated $1.6 billion in its latest funding round in November. UK office is safe but paytech wants to prep in event of a ‘no deal’. 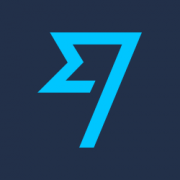 Also ends its partnership with TransferWise.